Maram Peyyumbol malayalam movie written and directed by Anil Thomas will feature Mukesh in lead with Vineeth, Irshad, Anumol, Aishwarya Nambiar and Lakshmi Menon donning prominent roles. Based on a real life incident happened in Mumbai, the movie is produced by Kaliyoor Sasi. For more excitement lyrist Bichu Thirumala and music director Jerry Amaldev will be reuniting after twenty years exclusively for this movie. 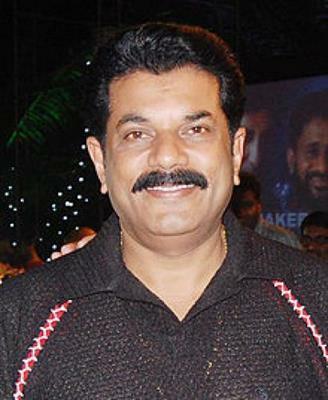 Veteran actor Mukesh is blessed to don a number of characters which still remain in the hearts of malayalam movie lovers. Interested to do challenging roles, Mukesh is excited to be a part of 'Maram Peyyumbol' written and directed by Anil Thomas. This movie is having an interesting story line which is based on a real incident which happened in Mumbai. Vineeth, Irshad, Anumol, Aishwarya Nambiar and Lakshmi Menon will give life to other characters in the movie. 'Maram Peyyumbol' would also bring legends lyrist Bichu Thirumala and music director Jerry Amaldev back after twenty years. Even though the veteran musicians hesitated to be a part of the venture, the story line attracted them towards the project which is being produced by Kaliyoor Sasi. Even though director Ranjith wishes to do a movie on the title 'Maram Peyyumbol', the project did not work out due to various reasons which made Anil to make it as the title of his movie. 'Maram Peyyumbol' would start rolling in July at various locations set at Mangalapuram and Kannur. The story pools into an event which took place in Mumbai 40 years back. A nurse who is brutally raped seeks permission for mercy killing. As mercy killing is prohibited by law in India, her plea is being denied. The role of innocent nurse is donned by Anumol. Mukesh would also be playing an important role which could showcase his acting brilliance. Anchor turned actress Anumol is lucky enough to be a part of few projects which could help her to climb up the ladder of success. The actress who is wise is choosing movies will be seen as lead lady in "God for Sale: Bhakthi Prasthanam" written and directed by Babu Janardhanan which is to get released on 28th June. "Vedi Vazhipadu" and "Parayan Baaki Vechathu" are other two upcoming malayalam movies for Anu.